After a brief hiatus, the concluding series of posts in my Best of British feature is back and I am starting with a plant based yet still high performance niche UK brand that has impressed me to no end. 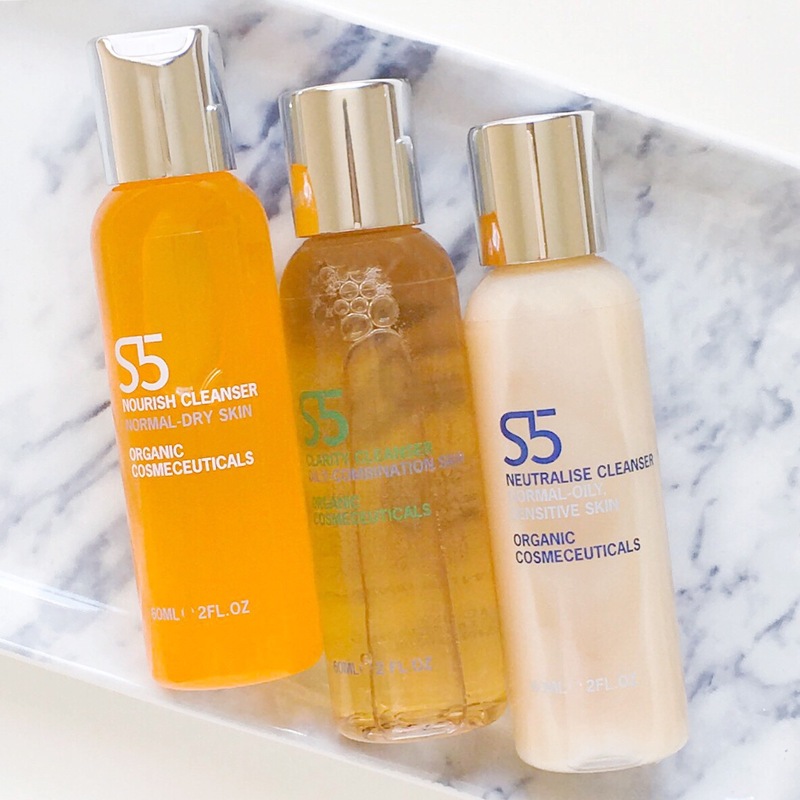 S5 is an organic cosmeceuticals line of products from the same incredibly talented, hardworking and passionate team behind the beautiful brand Evolve (review here), so you know it’s going to be good. 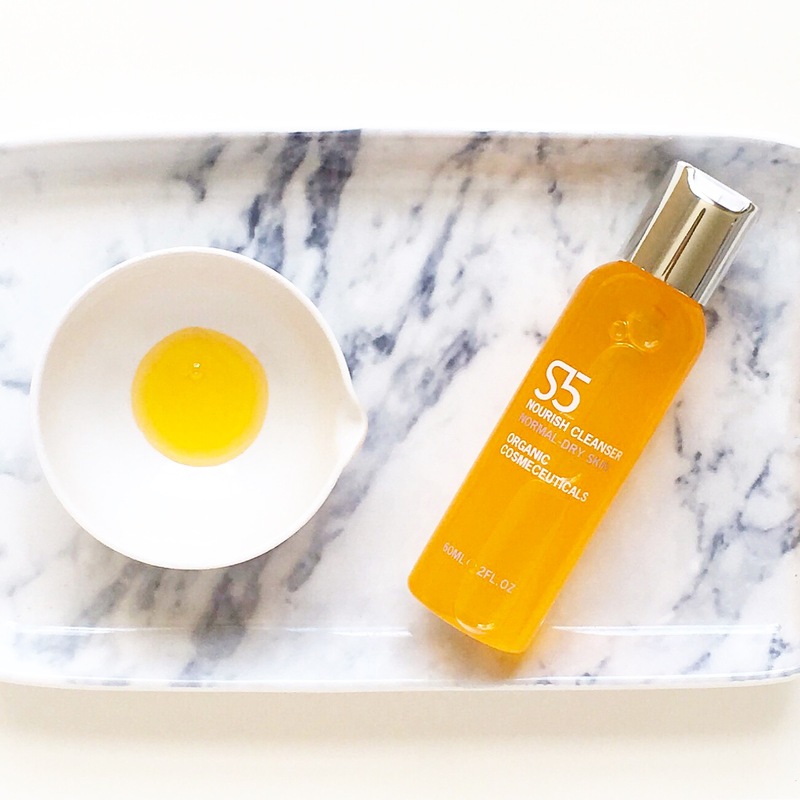 Unlike Evolve, which focuses on nourishing the skin with gorgeous (and borderline edible) superfood ingredients, S5 is all about treating skin conditions with highly effective natural ingredients that are just as good or better than their synthetic equivalent. For example, I can’t wait to write about their amazing serums that tackle everything from blemishes and hyperpigmentation to scarring and dermatitis, but those are currently being reformulated (which I am so excited about), so for now it’s all about these cleansers, which so many of you have asked about since they started appearing in my Instagram posts. Ingredients: Aloe Barbadensis Leaf Juice*, Aqua (Water), Glycerin, Coco-Caprylate/Caprate, Lauryl Glucoside, Polyglyceryl-2 Dipolyhydroxystearate, Lysolecithin, Sclerotium Gum, Xanthan Gum, Sodium Dehydroacetate, Pullulan, Tocopherol, Gluconolactone, Sodium Benzoate, Tripleurospermum Maritimum Extract, Rhodiola Rosea Root Extract, Sodium Levulinate, Sodium Anisate, Parfum (Natural, Low Allergen Fragrance), Benzyl Alcohol, Potassium Sorbate, Salicylic Acid, Sorbic Acid. *ingredients from organic farming. Even though this was not the first cleanser I tried from S5, it has quickly become my favourite. The first time I used it I fell in love with everything about it and I think it is such an outstanding product that would work well for everyone. It has a delicate sweet scent that I can’t get enough of and the creamy gel texture is light and cooling on the skin. 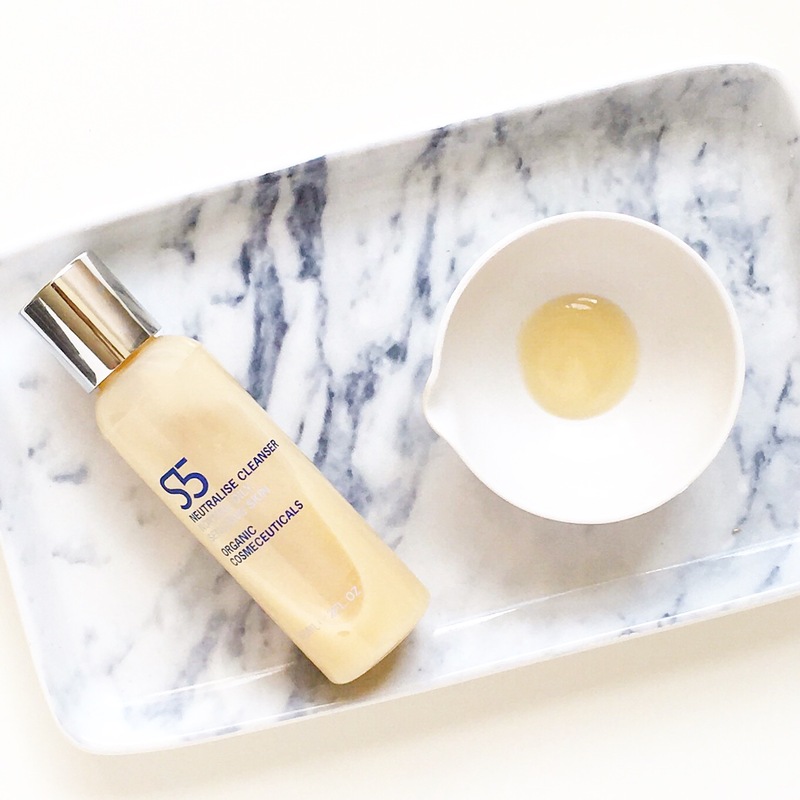 This works really well as a morning cleanse or second evening cleanse and and it leaves my skin feeling refreshed and purified yet still balanced. It’s key ingredients are Arctic Rhodiola and Sea Mayweed, which improve cell oxygen consumption, reduce the effects of environmental stress and inflammation, as well soothe irritation and neutralise free radical activity. It also contains aloe vera (soothing, healing) and salicylic acid (second to last ingredient, which is why it’s not drying), making it a very well rounded cleanser that will treat and balance the skin. I use this on days when my skin is doing fine but isn’t dry, so I don’t need anything too nourishing and it’s great for that. I just apply about a nickel size worth of product to my dry skin, massage it in for about a minute and then rinse off with warm water. You can use a wash cloth but for those who don’t like them, this rinses away completely with just water and doesn’t leave any residue behind. It doesn’t need to emulsify as it’s already a very light, creamy gel texture that’s oil free and non foaming and 99.62% natural and 80% organic. It’s most comparable to the Tata Harper Purifying Cleanser, which is $62/£49 for 125ml, making it incredible value for money. It’s not as “intense” as the Tata Harper one but if you’re looking for a gentle, clarifying cleanser then this is an excellent option that won’t break the bank. Ingredients: Aqua (Water), Sodium Coco-Sulfate, Glycerin, Cocamidopropyl Betaine, Decyl Glucoside, Caprylyl/Capryl Glucoside, Parfum (Fragrance), Aloe barbadensis Leaf Juice Powder*, Epilobium fleischeri extract*, Carica papaya Fruit Extract*, Lauryl Glucoside, Glyceryl Oleate, Coco-Glucoside, Citric Acid, Levulinic Acid, Sodium Levulinate, Sodium Benzoate, Sodium Phytate, Potassium Sorbate. This cleanser is the most targeted out of the three and is definitely more for for those with who have oily or combination skin and like a foaming cleanser but want one with better ingredients. I use this less often than the other two because of my skin type but on the occasions that I have, it has felt fantastic. This has been excellent this summer on days when I have had multiple layers of sunscreen on, have been hot and sweaty from working outside all day or have been wearing more makeup than I’m used to. It felt so good to use an oil cleanser to get all the gunk off and then go in with this to give my pores a deep down purify that left my skin feeling amazingly squeaky clean without being dried out. I take about a dime size amount and apply it to my damp face and work it in to a lather. It does this quickly and easily, which is why you don’t need a lot. It has a thin gel texture and the same lovely scent as the Neutralise cleanser and is 98.57% natural and 71% organic. I rinse it off with cold water (to refresh my skin after a hot day) and afterward my face feels perfectly smooth, clean and fresh but not overly dry. It has Papaya Enzymes to purify and exfoliate the skin and something called Alpine Epilobium Fleisheri that is oil and sebo-regulating and will help improve the appearance of pores, as well as the skin overall. This is what I love so much about S5 – they are really going above and beyond to find the most unusual and unexpected ingredients that deliver such great results. I would reserve this for days when you really need a deep down cleanse or want to give your skin a bit of a reset. It’s sort of similar to NIOD’s Sanskrit Saponins in terms of results but with a very different texture. I don’t have anything else like it and I’m definitely glad to have this in my stash. I tried this cleanser for the first time earlier this year and back then it was exactly what my combination skin needed during the colder months. It is incredibly nourishing (as the name would suggest) and left my skin feeling hydrated but not coated. It has quite a thick almost sticky gel consistently that needs to be massaged in properly to break down but once it does it becomes a lovely light oil texture that emulsifies quickly and easily and can be removed without a wash cloth and leaves absolutely no trace behind. I love the sweet almond aroma (although I do prefer the scent of the other two) and I really like that it’s 100% natural and 20% organic. I use between a nickel and a quarter size amount of this one and work it in to my dry skin. 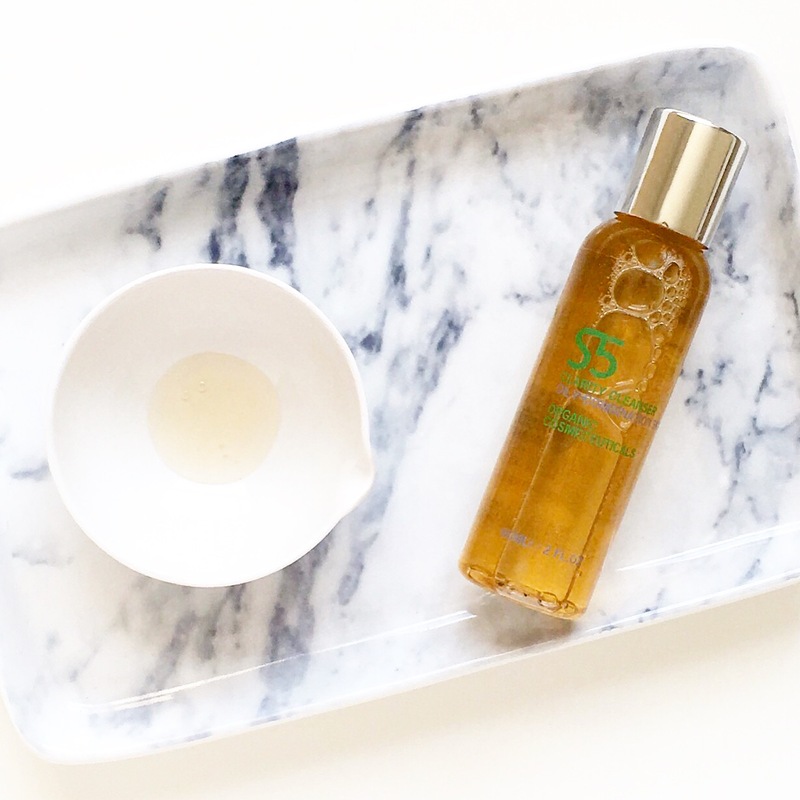 It’s great for removing light makeup and has a lovely mix of oils like Rosehip, Argan, Sea Buckthorn and Pomegranate that hydrate, heal, soothe and restore the skin. I use this less often now because the Neutralise and Clarity are more seasonally appropriate, but if you have dry skin then you will love this because it’s nourishing without feeling heavy. It didn’t clog my pores or break me out (neither has the other two) and even though it says it’s for normal or dry skin, I think it would work well for all skin types. 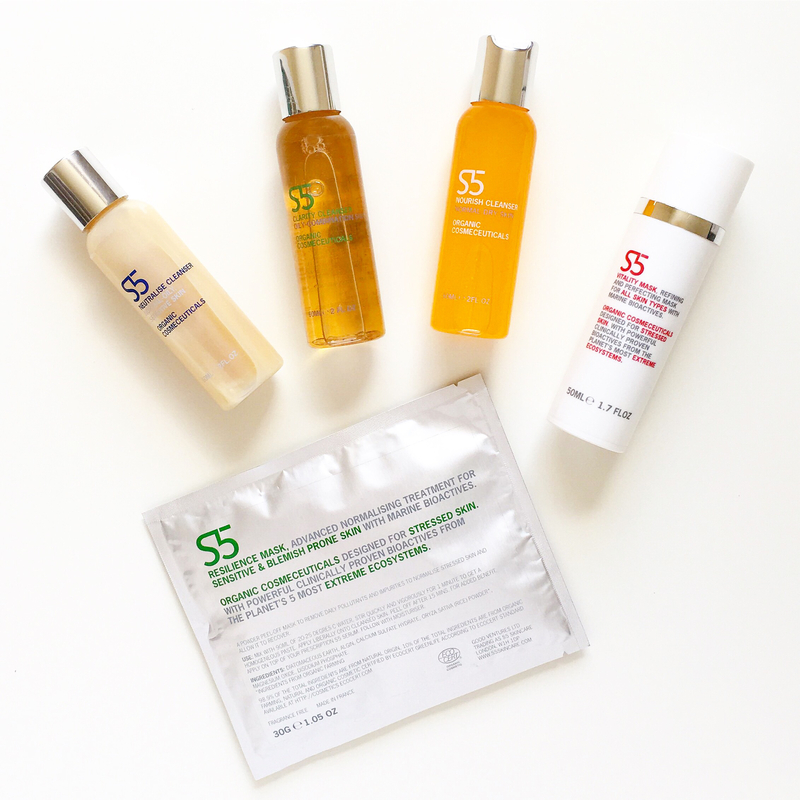 These days it’s pretty standard to pay about $50 (but usually more) for a good cleanser, whether it’s natural or synthetic and I love that S5 have created three great options that are not only inexpensive and great value for money (because of how much you get), but also contain such unique and interesting skin loving ingredients that really deliver results. I recommend these to so many people because they do the job, have great ingredients and leave room to invest in other (and arguably more important) steps in your skincare routine like serums or oils. I really respect and appreciate what the S5/Evolve team are doing, which is why I have teamed up with them to offer FIVE of you the chance to win all three cleansers as well as their Vitality and Resilience Masks (below). All the details are over on my Instagram page (here), so check it out and good luck! < Previous May Lindstrom Giveaway! This is a new brand to me, I’m especially interested in the neutralize and clarity cleansers! IG username: Sugarbabe.renee.beauty (haven’t been able to comment or tag anyone in a week for unknown reasons..) thank you for this lovely opportunity!